Discussion in 'Commercial Landlord & Tenant Issues' started by austinlutz, Aug 9, 2018. I live in an apartment complex run by a large chain. At the beginning of the summer they informed residents they’d be performing maintenance to replace windows and we’d be contacted with a date when each apartment would be entered. I was provided with a paper saying July 27th would be my apartment. I made all the arrangements they requested, including having my dog out of the apartment, and the office called me at the end of the day to tell me they didn’t get to my apartment and needed to reschedule. They asked if the week of August 6th would work (this week) and I said, I would be traveling out of town every day and it would be infeasible for me to make arrangements for someone to watch my dog that whole time. I never received any further notice from my complex. Yesterday my neighbor texted me saying someone was in my apartment, the complex gave the contractor access to my apartment after I specifically told them they did not have permission. Not only did they enter without my permission, my dog was not in a cage and they began working right around him, putting him in harms way of their work, and also removing windows that he could have easily jumped out of. From reading Virginia’s law, it looks to me like any landlord has to give 24 hours notice to enter your apartment unless in an emergency. This was not an emergency. Is this worth trying to sue or take legal action against the apartment complex for harassment, violation of privacy, trespassing, and animal endangerment? What could I expect to receive in return? 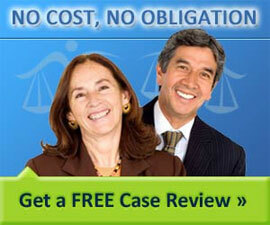 Would the cost of hiring a lawyer outweigh any possible return? Thank you for any advice. I’ve lost sleep over this and no longer feel safe in my apartment knowing my complex will just hand out a key to anyone that wants it. Probably not worth it. I don't see harassment at all. Animal endangerment? Nothing happened. Giving a key to one contractor is not exactly handing out a key to anyone that wants it. If you don't feel comfortable there, move out at the end of your lease. I can almost guarantee that engaging in a lawsuit against them will not make you more comfortable living there. Specifically telling them they didn’t have permission and them ignoring it doesn’t qualify as harassment? You don't have to convince me. I gave you my opinion. If you think you have cause to sue, please feel free to engage a lawyer. It seems to me that you did receive advance notice. Your permission was not necessary. That's ridiculous. Plenty of people remain in their homes and apartments when their windows get replaced and when contractors do other work. Read your lease, focus on the part that discusses the landlord's RIGHT to enter. You and the landlord or landlord's agent agreed that such access would be allowed. "55-248.18. Access; consent; correction of nonemergency conditions; relocation of tenant. A. (in part) The landlord may enter the dwelling unit without consent of the tenant in case of emergency. The landlord shall not abuse the right of access or use it to harass the tenant. Except in case of emergency or if it is impractical to do so, the landlord shall give the tenant notice of his intent to enter and may enter only at reasonable times." That you were away and the contractor was on a schedule that required entry in your absence made it IMPRACTICAL to notify you or get your consent. The management did nothing wrong to you. Nothing happened to your dog. I'll bet he enjoyed the company. Nothing bad happened to you or your apartment. You are entitled to nothing. So please notch back the high dudgeon and get over it.